3D printing technology, which lets you conjure three-dimensional objects out of thin air like a Star Trek replicator, has existed for decades but in recent years has rocketed in popularity thanks to the introduction of low-cost 3D printers that cost as little as a high-end washing machine. CES 2014 was the first year of the massive technology tradeshow to feature an area dedicated wholly to 3D printing, proving just how popular the category has become. Running the gauntlet of CES is a bit of a rite of passage for any new technology aimed at a consumer audience. Blu-ray, OLED, 3DTV, e-ink, ultrabooks, smartphones and the first mass-market drones have all passed through its hallowed halls over the last decade. While several of the manufacturers showing 3D printers were not attending for the first time, by suddenly making such a high-profile appearance at the biggest consumer technology tradeshow, the industry is showing that it's starting to take the home audience seriously. One of the companies that's been attending CES for years is New York-based MakerBot, which this year introduced a trio of desktop 3D printers. One, the MakerBot Replicator Mini, is clearly aimed at a consumer market - it has a simple, one-button setup, is designed for speed, can hook up to your computer over Wi-Fi and even includes a camera so you can watch the progress of a print job. 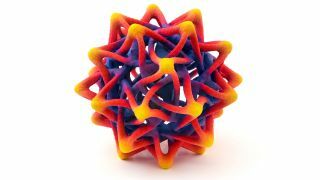 It can make objects with a maximum size of 10x10x12cm, and costs $1,375 - well within the reach of home hobbyists. "If I were announcing cameras today, this one would be the point-and-shoot," said MakerBot CEO Bre Pettis on stage. Other companies are driving equipment costs even further down. 3D Systems unveiled the sub-$1,000 Cube 3, but XYZprinting Inc, from Taiwan, won the race-to-the-bottom with the 'da Vinci' 3D printer, which carries a price tag of just $499 - making it the cheapest plug-and-play model on the market. Its standout feature, other than its price, is that it can connect to an online database full of free 3D models. After all, a 3D printer isn't much use without something to print, and most consumers aren't exactly experienced 3D modellers. Will the da Vinci herald a 3D renaissance? That inconvenient fact is one of the major issues that manufacturers need to resolve if 3D printing is going to go mainstream. The da Vinci has its database, and both 3D Systems and MakerBot have their own - Cubify and the Thingiverse, respectively. Google and Shapeways also host 3D object databases. Adobe is working on making 3D modelling software more accessible, too, by integrating it into its Photoshop CC app. "We believe that the next step in copying will be made from digital form into physical form. It will be physical objects," explained the site. "We believe that in the near future you will print your spare sparts for your vehicles. You will download your sneakers within 20 years." Pirate Bay founder Tobias Andersson predicted this could make things harder in the future for the site in an interview with Torrentfreak: "The coming copy fights will be on a totally other level. I'm talking about the 3D printing revolution. In a few years, millions of blueprints of tools, car parts, clothing and weapons will be up for download. If there is a safe platform," he said. "The Pirate Bay in its current form can withstand the pressure from quite harmless industries like the movie and music industries. But when car, oil, and weapons industries and all the countries that depend on them start to feel threatened, we can't depend on a few people to sacrifice themselves."